Andrea earned her Massage Therapy Diploma (Honors) at the ICT Northumberland College here in Halifax in 2001. Shortly after graduating she traveled to Victoria, BC, where she attended the Dr. Vodder School of North America to obtain her certification in Manual Lymphatic Drainage (MLD). She is an active member of the Massage Therapy Association of Nova Scotia (MTANS) and iscurrently serving on the Board of Directors for MTANS. Andrea believes that therapeutic massage is an important part of your health and wellness plan. It has many physical benefits and can help treat a variety of health conditions. Whether you choose deep tissue treatments, full body relaxation, manual lymphatic drainage, healing stone treatment or a combination thereof, each session is catered to your health goals and treatment preferences. Massage therapy helps to relieve your mind, body and spirit. Vicki graduated from Canadian College of Massage & Hydrotherapy in 2017. After pursuing a career in Art Therapy (Vancouver Art Therapy Institute, 2008) and Spa Therapy (Vancouver School of Bodywork & Massage, 2011), becoming a Registered Massage Therapist made the most sense, by tying both professions into a truly holistic approach to help the clients she works with. 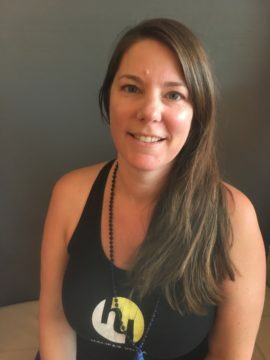 Vicki has trained in modalities that include Deep Flow – Level 2 (deepflow.ca), Ashiatsu (using feet), Manual Lymphatic Drainage (Basic), Hot Stones, Shiatsu (using hands & knees), Reiki- Level 2 (Usui System), Reflexology, Deep Tissue, Joint Release and General Swedish Massage. Vicki likes to approach each treatment as she would a blank canvas, and uses a gentle, client-centered approach that incorporates her clients’ goals, strengths and current limitations. Together, client and therapist create an experience where the individual is playing an active part in the treatment that allows for their highest potential for healing. Where dialogue and communication are central to creating the best treatment for the individual to receive, Vicki also understands the importance of silence and giving a client space to reflect and process the experience to fully integrate the mind-body connection. Vicki attends yoga classes at HY for her own self-care needs. Yoga has always been her anchor for self-care and being able to incorporate a profession that builds on shared principles and values is a blessing. 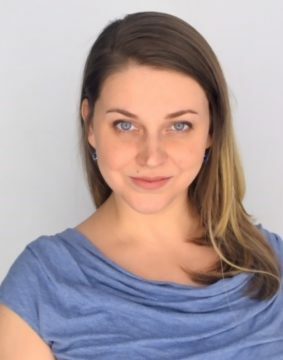 She enjoys working with people that are looking for ways to enhance their practice of self-care and is skilled in treating people that are experiencing stress, chronic postural strain, sports injuries, tension headaches, low back and hip tension, pregnancy, yogis and symptoms of arthritis. The therapeutic effects of massage therapy benefit men and women of all ages – infants, children, pregnant women, athletes and the elderly. Massage Therapy aids in restoring normal function of the soft tissues in the body (muscles and joints) and it can provide relief and often recovery from a wide variety of mild and acute conditions. Massage Therapy increases circulation to all parts of the body thus improving the supply of nutrients to the body tissues and promoting elimination of waste products. Massage Therapy reduces muscular tension which aids in healing from trauma and injury, helps in improving and maintaining proper body posture. Massage helps in maintaining muscle tone and flexibility thus preventing harmful repetitive strain injuries. .
Massage calms the nervous system and reduces your stress, tension and anxiety levels. Massage Therapy promotes relaxation and improves body awareness. Healing Stone Massage is a Swedish relaxation style of massage that uses smooth, heated Basalt stones. The warm, smooth stones are used to soothe tired muscles, increase circulation and boost the immune system. The heat from the stones aid in relaxing muscles, which allows the therapist to use the stones to apply more pressure. This massage is quite gentle in comparison to therapeutic or deep tissue massage but it has many similar benefits. Manual Lymph Drainage (MLD) is a manual treatment consisting of specific, gentle, rhythmic techniques designed to stimulate the lymphatic system to remove waste and excessive fluid from tissues. It is beneficial in many conditions involving congestion or swelling, including recent injuries, sinusitis, chronic swelling and headaches. It promotes healing after injuries by reducing the inflammation amongst the damaged tissues. MLD induces calmness and relaxation by soothing the sympathetic nervous system. To cancel appointment kindly call us at 902.406.9642 and follow up with an email to ensure we receive your message.